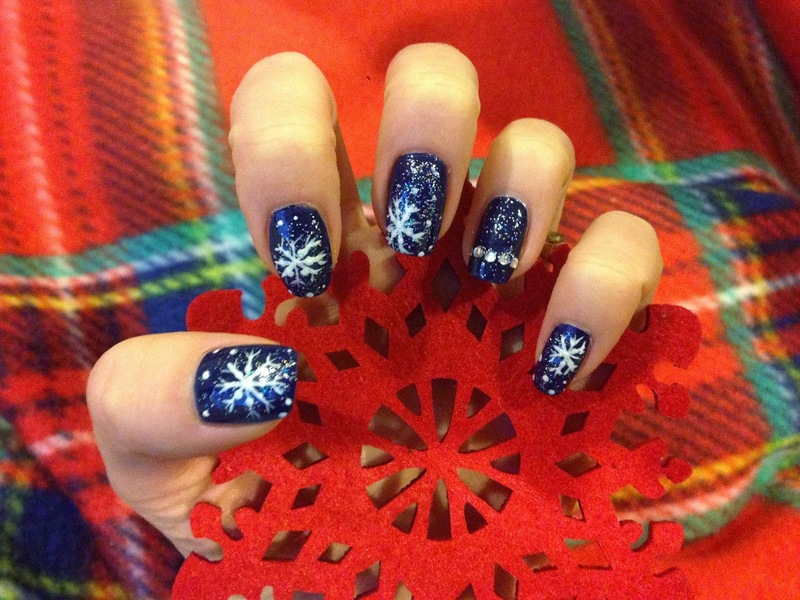 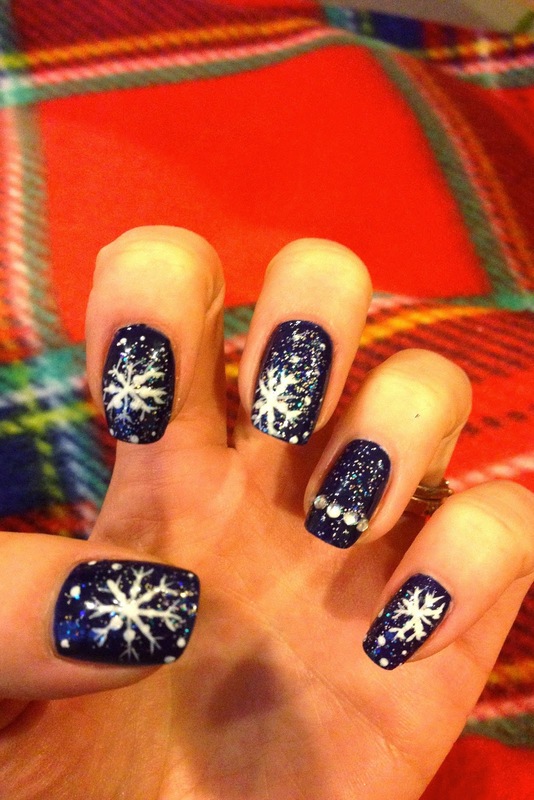 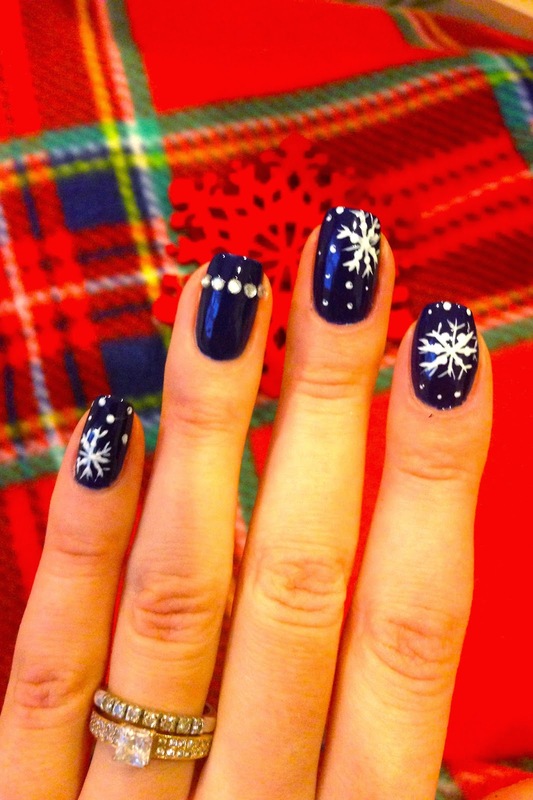 Here is my winter-holiday nail design, I hope you will enjoy it. 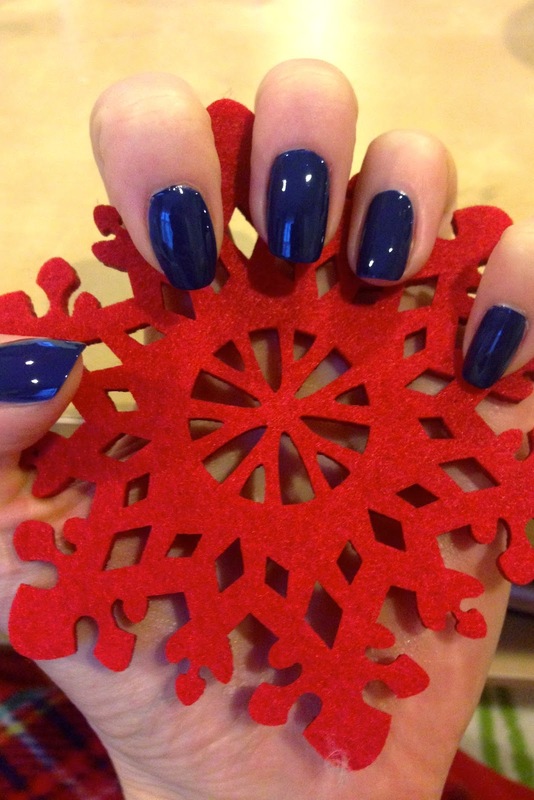 Start with base coat and two coats of La Playa by Orly. 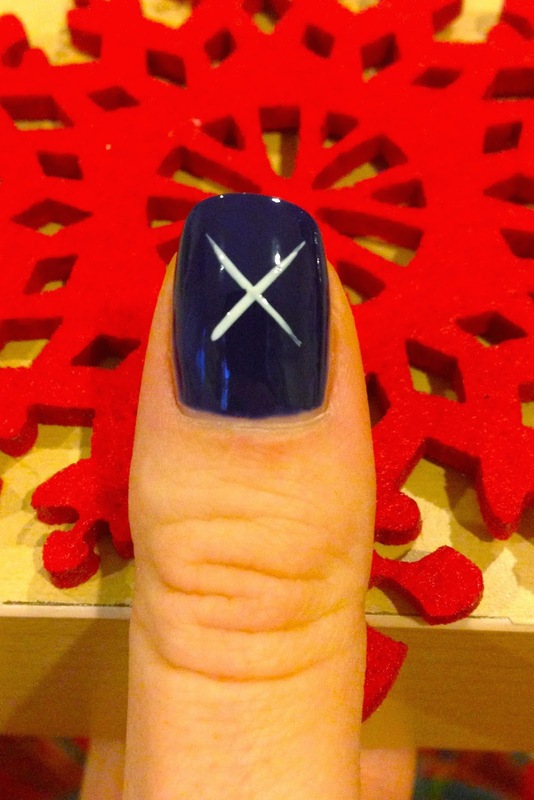 Use thin nail brush and paint the X with white nail polish. 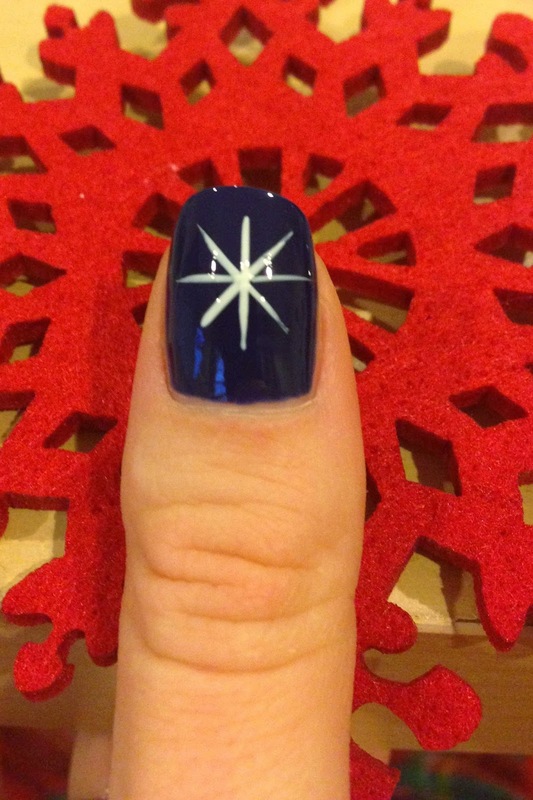 Do some more stripes, this time one horizontal and one vertical. 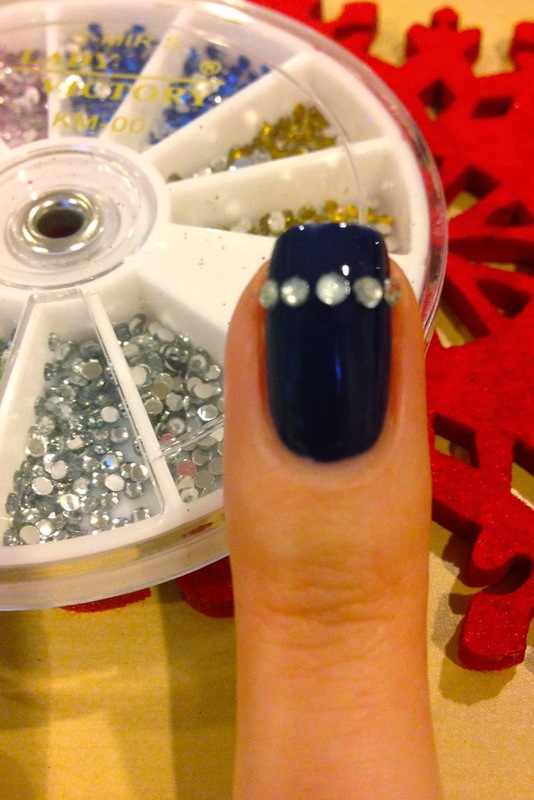 Use a dotting tool and put a dot on every stripe. 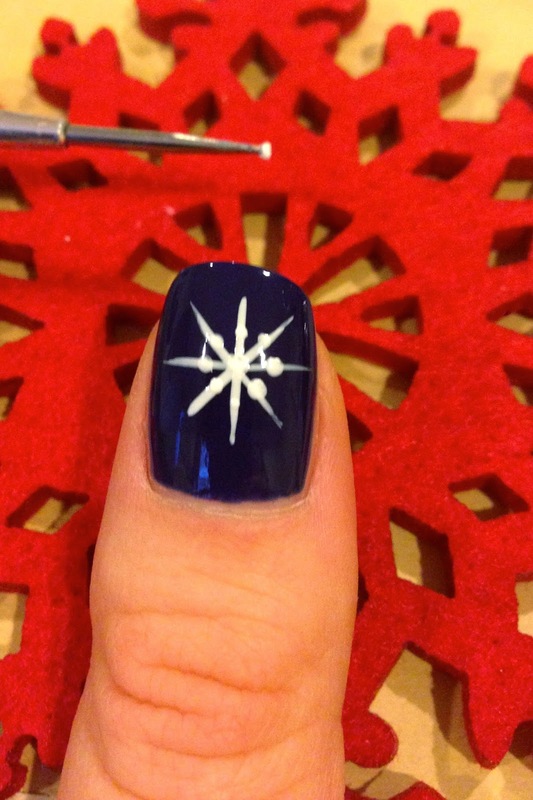 At the end of every line paint a V.
On my ring finger I applied rhinestones. 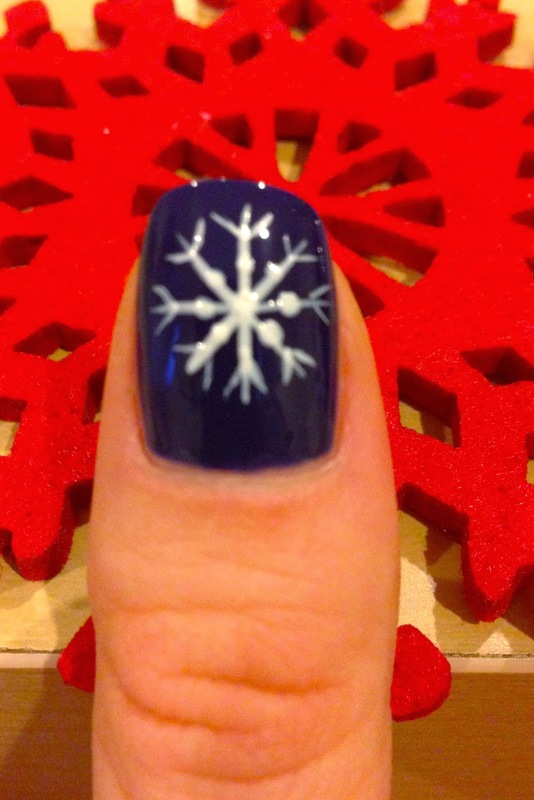 I also painted a snowflake on every finger in different place and put some dots around them. 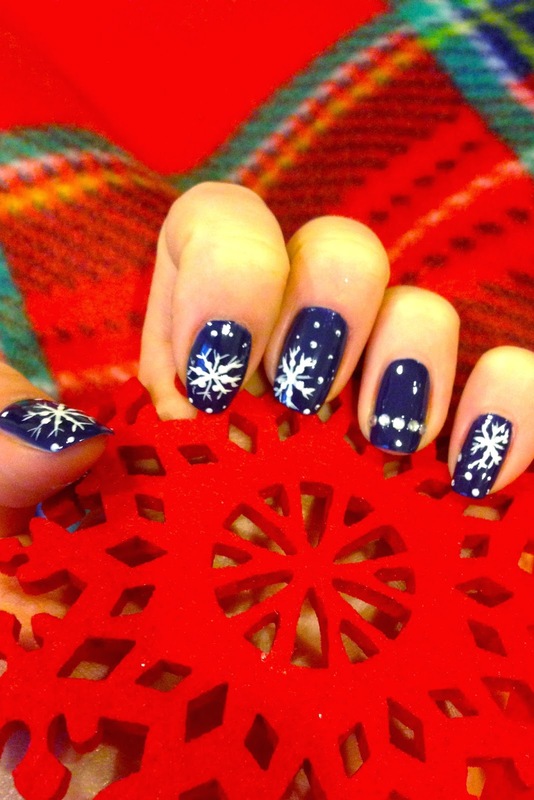 apply a sparkling nail polish to make the look more magical. 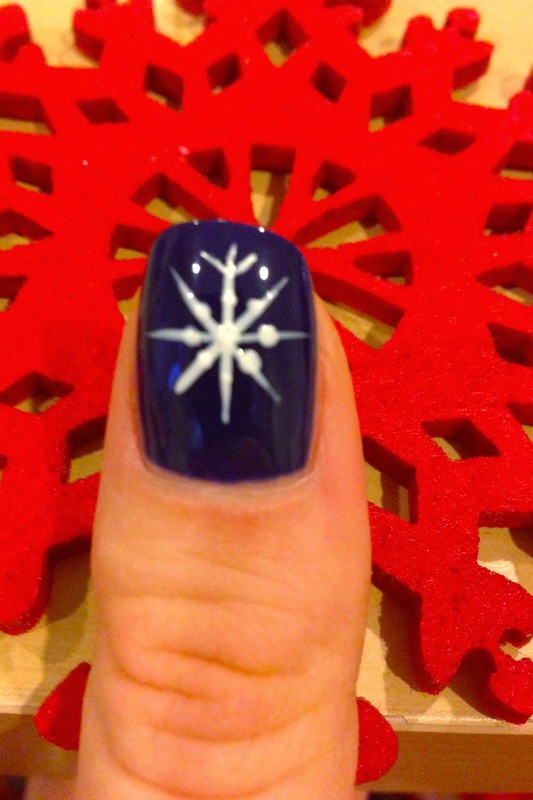 I used Disco Ball by Sally Hansen.